I’m bringing back meatless Mondays! I adopted a veggie-centric diet about five years ago and haven’t looked back. Sometimes people have the idea that a meal without meat will leave you hungry, but that’s just not the case! On Mondays I’ll be sharing delicious vegetarian meals that the whole family will love. 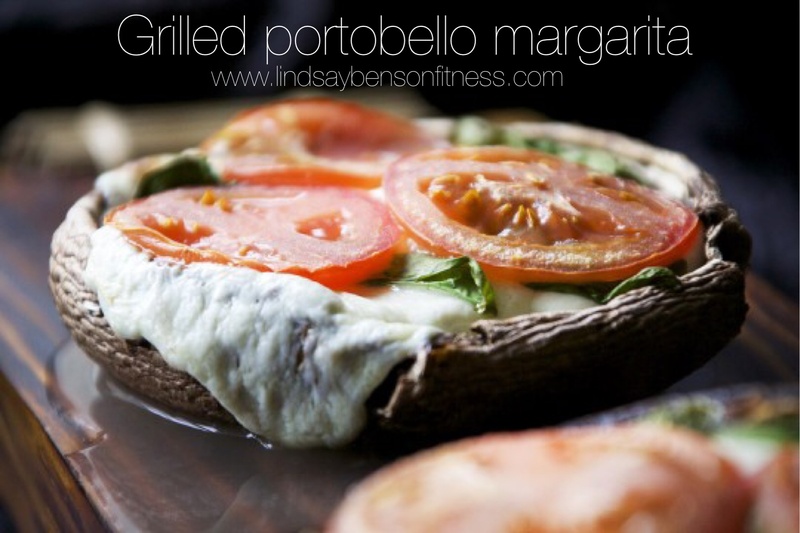 This is one of my favorite summertime meals, especially because it incorporates the grill! Meanwhile slice tomato and cheese. 5. When mushrooms are done, top with cheese and grill ( covered) till cheese melts. 6. Top with tomato and basil. Notes: You can serve this on top of greens and it’s delicious with a black bean and corn salad on the side.